Visa and Permanent residency options can be difficult to navigate. That’s why we brought the experts to you. On Friday, February 2nd, five lawyers from New York-based law firm, Greenberg Traurig, visited campus to meet with PhD students to discuss visa options and strategies. 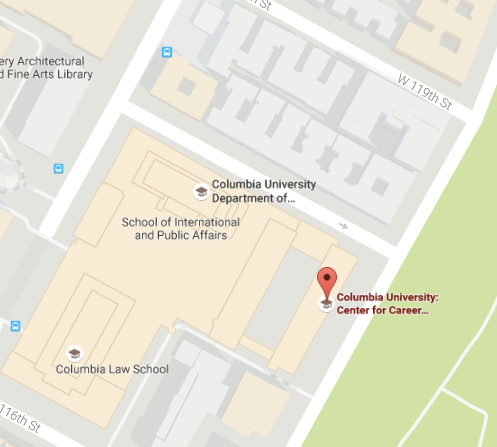 Students were also able to connect with the lawyers, who offer free initial consultations to Columbia Students. Lawyers shared a number of different types of visas including H-1B, L-1, E-1/E-2, O-1 and TN. They outlined key characteristics and the requirements of each visa. Additionally, for many visas they highlighted strategies for acquisition. Universities are exempt from H1-B cap. Concurrent employment can provide the opportunity to avoid the H-1B cap. O visas are not just for artists — these visas are for anyone with an extraordinary ability. Some countries have specific treaties with the United States that allow for additional visa options. One important takeaway was to plan ahead. Many visa options require building a strong case and extensive documentation. Connect with ISSO and an immigration lawyer in advance to build the strongest case for future success. For assistance with your career planning, schedule an appointment with a CCE Career Counselor.